So you’ve recently joined a gym, but are unsure which facilities will meet your needs and interests best. Thankfully, you still have enough time to figure your routine out. While some people do their best work solo, others thrive in the company of fellow exercisers. 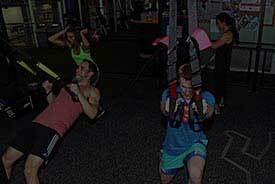 Group fitness classes in Auckland are among the most fun, socially enticing and effective options available. If you’re interested but shy or overwhelmed at the idea of exercising in the same room as a bunch of strangers, this article is for you. Here are a few tips you can follow to get yourself ready for your first group fitness class. The Internet is your friend. Do a bit of research on different types of group fitness programmes to get a better idea and familiarise yourself about each one. Use this to create a shortlist of classes that may interest you. Body goals vary from person to person. A spinning class might work if you’d like to get your heart pumping, whereas yoga would be ideal for building core strength and mindfulness. Try a class that aligns with your goals. Visit a group class studio on your next solo visit to the gym to peek into the world you’re thinking of joining. This will help you get familiar with the group setting. If you’re unsure what you want to try, try a bit of everything over a few weeks. Once you figure out which ones you’re leaning towards, stick to that class to ensure growth. Catch the instructor before a session to ask any questions you may have. Arrive a few minutes early for class and introduce yourself to the instructor and fellow gym mates before the ball gets rolling. Your fitness journey is about no one else but you. Don’t compare yourself to other people in the class – stay focused on your individual goals. Are you looking for motivating and effective group fitness classes in Auckland? Call The Olympic Pools & Fitness Centre today to explore your options.